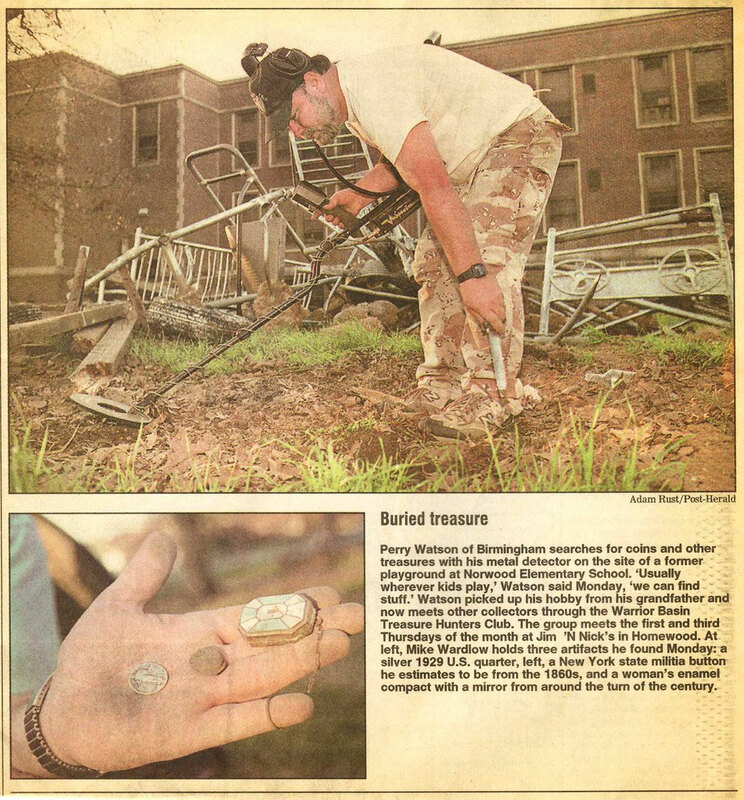 "I thought these items would interest you because of the location where they were found. 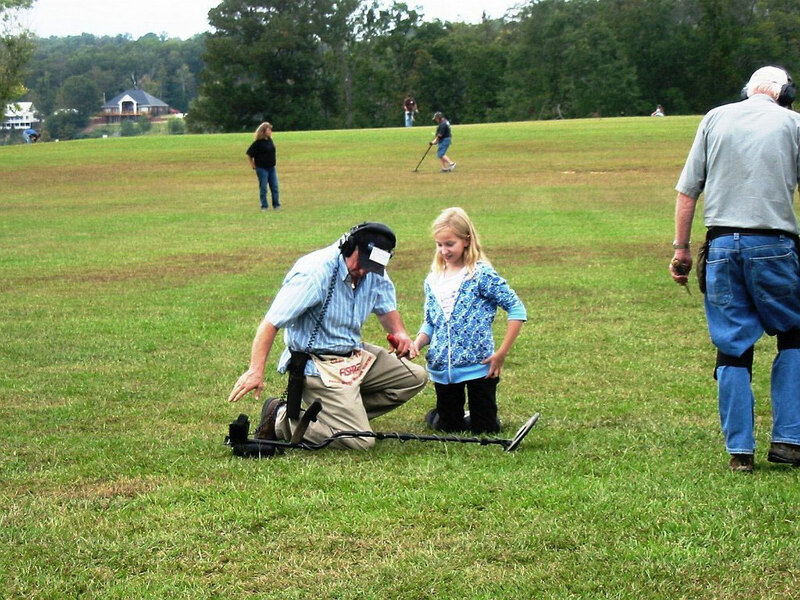 Yesterday after detecting Memorial park with Steve Love for a couple of hours I detected the park in Southside on 8 ave and I-65 until the traffic eased up. I used the new 11" coil. 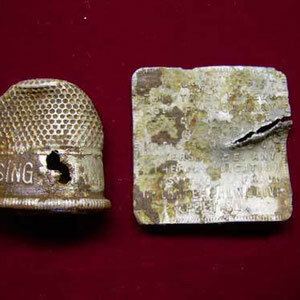 The item on the left is smooth on the inside and is probably a thimble with an advertising logo, 'R(W? )?OUNT SALAD DRESSING'. 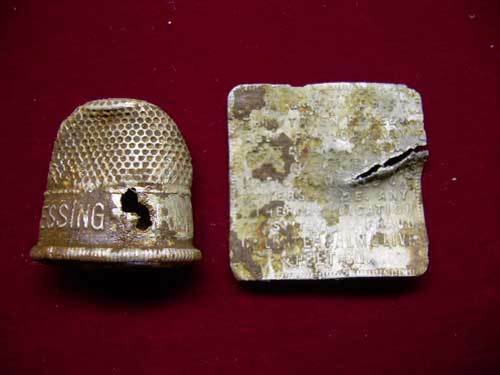 I've only found a few thimbles but don't remember one with a logo. 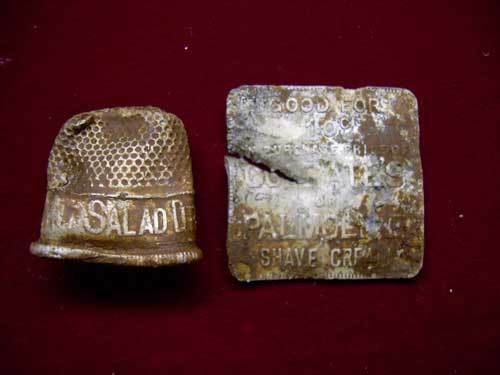 The Colgate-Palmolive token was probably damaged with the initial plug cut or I got careless with the Lesche digger when I probed the side of the hole. 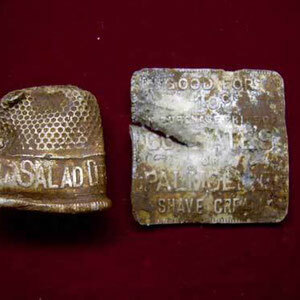 I've found a couple of other Colgate-Palmolive tokens in FL but they were larger and round. 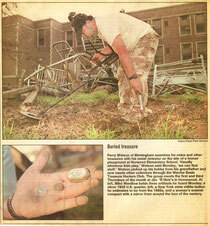 One was made of brass and the other was made of the same metal as this one, probably aluminum."